Why don't super villains ever have photos of their childhoods hanging in their evil lairs? I know it kind of clashes with the antiseptic quasi-futuristic decor, and it just provides fodder for the hero's witty retorts, but come on. It's important to remember where you came from. 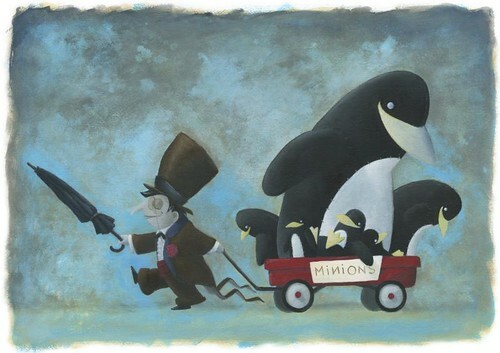 For this project I'm looking in to the childhoods of famous super villains. 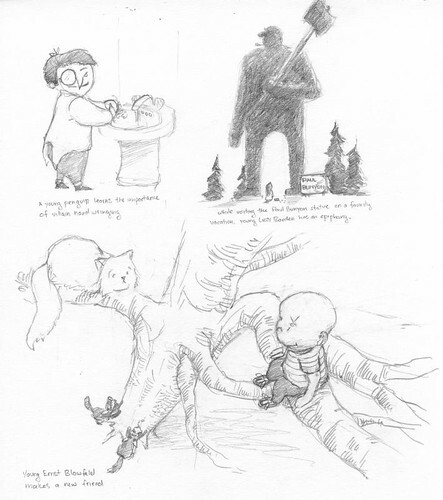 Here are a few of the early concept sketches (remember to click through for bigger images). I was toying with a few different villains at this point. 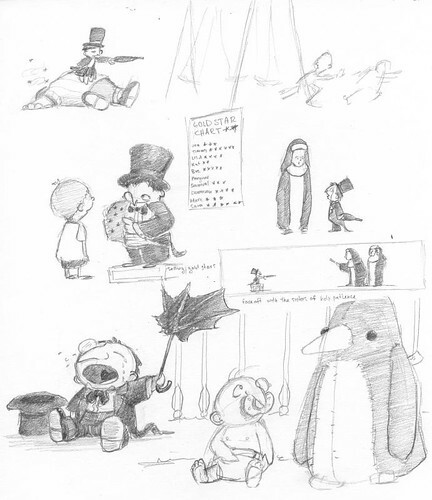 The Penguin from Batman in the upper left, Lizzy Borden, and that Ernst Blowfeld from the James Bond movies on the bottom. 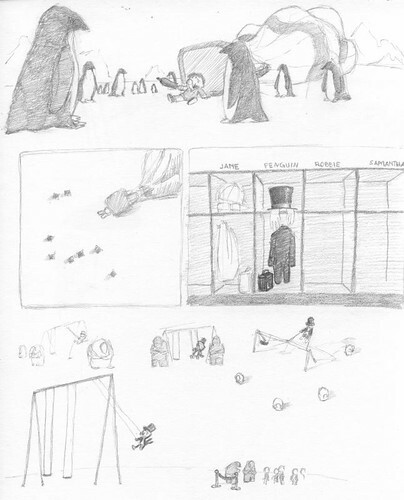 Eventually I settled on the Penguin. I think he's one of my favorite villains of all time. 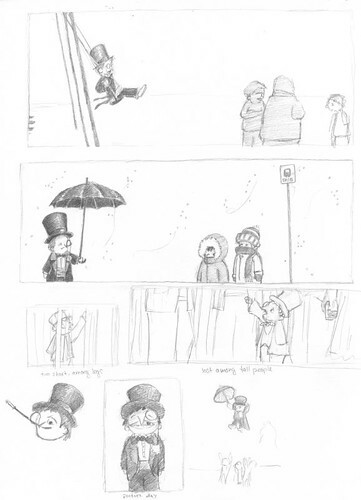 And not just because he has a top hat, umbrella, and monocle (though that defiantly helps). 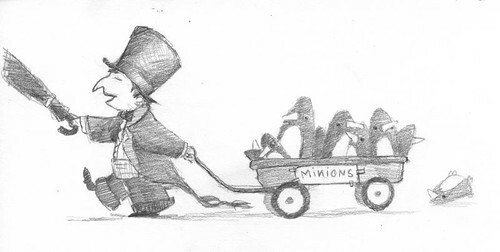 A lot of fun ideas bounced around on this one, but I think it's important to stick to the basics of supervillainy, and there's nothing more basic to the supervillain's kit than his minions. Here's the final illustration in oils.